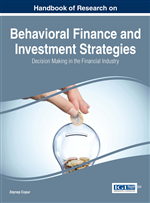 This chapter explores the evolution of modern behavioral finance theories from the traditional framework. It focuses on three main issues. First, it analyzes the importance of standard finance theories and the situations where they become insufficient i.e. market anomalies. Second, it signifies the role of behavioral finance in narrowing down the gaps between traditional finance theories and actual market conditions. This involves the substitution of standard finance theories with more realistic behavioral theories like the prospect theory (Kahneman & Tversky, 1979). In the end, it provides a synthesis of academic events that substantiate the presence of behavioral biases, their underlying psychology and their impact on financial markets. This chapter also highlights the implications of behavior biases on financial practitioners like market experts, portfolio managers and individual investors. The chapter concludes with providing the limitations and future scope of research in behavioral finance. … The rage for possessing them soon caught the middle classes of society, and merchants and shopkeepers, even of moderate means, began to vie with each other in the rarity of these flowers and the preposterous prices they paid for them. Investors’ irrationality is an inevitable reality as long as the markets themselves have existed. Perhaps its earliest recorded evidence is given by Charles Mackay (1841). In his book Memoirs of Extraordinary Popular Delusions and the Madness of Crowds, he mentions three instances that highlight the erratic behavior of crowds. These were the Dutch Tulip bubble (1630’s), the South Sea company bubble (1711-1720) and the Mississippi Company bubble (1719-1720). Out of these, the Dutch Tulip bubble, popularly known as tulip mania is one of the most cited accounts. In the Dutch Golden Age, a new flower ‘Tulip’ was introduced in the Netherlands. The Dutch people became excited about this exotic variety and started investing their money in it. Gradually investments in tulips became a craze which pushed the prices higher and higher. At the peak of tulip mania, a single bulb sold for more than 10 times the annual income of a skilled worker. The market finally collapsed when people sensed they have spent a greater part of their income on a flower bulb. They started to dispose of their tulip stocks as quickly as possible and the price plummeted, leading to heavy losses (Mackay, 1841; Dash, 2001, Shiller, 2005). Events like the tulip mania makes us ask a very basic question: are investors really rational? This question has been raised by various researchers in the past and it relates to the dilemma that investor behavior does not conform to traditional financial theories. The traditional theories focus on a widely accepted approach of “fully rational agent” where decision making is based solely on available data and mathematically proven concepts. This approach was considered the backbone of financial decision making until its predictions did not confirm with actual market conditions. In an ideal scenario where this approach is applicable, the market is informationally efficient, i.e. the security prices would incorporate all the information available in the market. In this case, all the securities would be fairly priced. However, we do not live in such a utopian world and the markets are largely inefficient. The presence of market anomalies like speculative bubbles, overreaction and underreaction to new information, is a proof that the financial decision making process involves more than a cold, calculative rational agent. Thus, the need for understanding such anomalies and shortcomings of human judgment involved with them became the precursor of behavioral finance. Overconfidence: Propensity of individuals to overestimate their own knowledge and ability to perform. Mental Accounting: Defined as the tendency to segregate complex information into manageable mental accounts. In investment terms, people separate their assets into different categories depending on the purpose each category fulfills. Herding Bias: It is the propensity of investors to mimic the crowd without taking into consideration their own judgment. Status Quo Bias: People affected by this bias prefer to maintain their current position, irrespective of the change in their environment. Efficient Market Hypothesis: A concept given by Fama (1970) that describes an efficient financial market as one in which security prices completely reflect the available information. Further, the investors in this scenario are well informed and make rational choices, such that the mispricing of securities cannot occur. Prospect Theory: A concept given by Kahneman and Tversky (1979) . This theory analyses the decision making process of individuals under risk. Here the choices are determined in terms of loss and gains. It suggests that same level of joy and pain does not have equal effect on people. An average individual tends to be more sensitive towards losses than gains. This tendency is called loss aversion. Behavioral Finance: A field of finance that incorporates the influence of psychology on the behavior of financial practitioners and its role in explaining market anomalies. Availability Bias: Tendency of individuals to give more weight age to recent information which could be recalled easily. Disposition Effect: A tendency of investors to start selling the shares that have gained value early, while, holding the losers for too long. Anchoring and Adjustment: A heuristic used to estimate an unknown value by starting with a known figure (anchor) which is then adjusted to arrive at a final value. In this case, people tend to get biased towards the anchor rather than away from it. Market Anomalies: (Market Inefficiencies): Aberrations in financial markets that cannot be explained by efficient market hypothesis, for e.g. speculative bubbles, crashes, overreaction and under reaction. Narrow Framing Bias: A myopic approach of investors wherein they make investment decisions without considering the context of their entire portfolio. People affected with this bias focus their attention to specific, seemingly attractive investment options while they tend to overlook the full range of options available to them. Optimism Bias: It causes people to believe that they are less likely to experience negative incidents. In financial terms, it is the tendency of investors to overestimate the expected return of a security. Representativeness: A heuristic driven bias wherein individuals asses their options by comparing its similarity with an existing prototype.